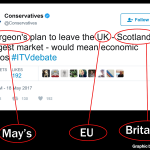 “And the opinion polls show consistently that the Scottish people are more likely to be in favour of EU membership than the people of England and Wales. 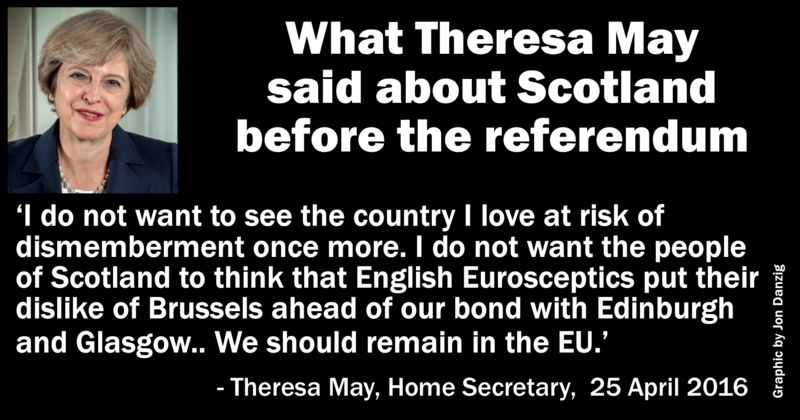 “If the people of Scotland are forced to choose between the United Kingdom and the European Union we do not know what the result would be. 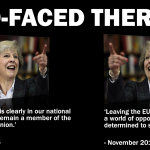 “But only a little more than eighteen months after the referendum that kept the United Kingdom together, I do not want to see the country I love at risk of dismemberment once more. 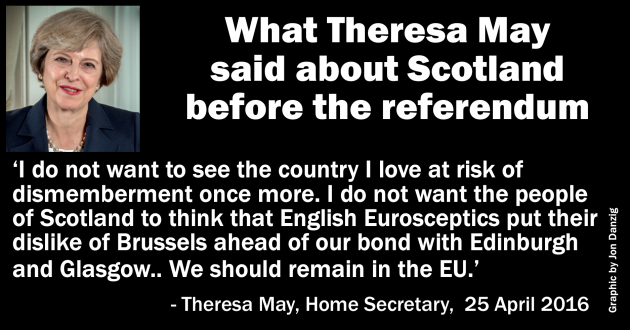 “I do not want the people of Scotland to think that English Eurosceptics put their dislike of Brussels ahead of our bond with Edinburgh and Glasgow. 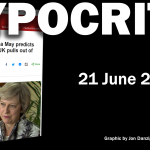 This entry was posted in Current Affairs, Democracy & Citizenship, Politics & Public Policy, The EU and tagged referendum, Scotland, Theresa May. Bookmark the permalink. 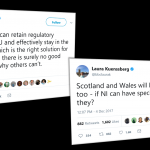 Previous: Break-up of Brexit or break-up of the UK? 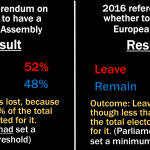 Next: Which is better: UK or EU democracy?